Under the banner of ‘The people who protect your plate’, it focused on those people within the industry. From specialists looking at Novel foods (Foodstuffs that are new to the EU market or use new and innovative technology) to testing for known allergens, their aim is to ensure that the UK continues to have some of the safest food and drink in the world. According to research from law firm Clyde & Co., published earlier this year, food alerts from the EU have increased by 58% in the last five years. 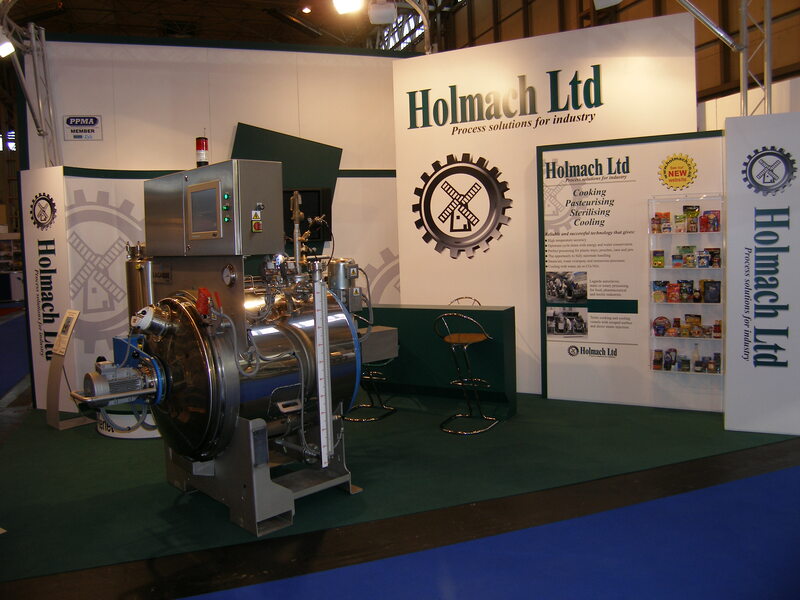 Holmach has a range of sterilisation and pasteurisation equipment, that not only ensures that your product is safe, it can also help to protect your business. A product recall can have huge implications on your company profile as consumers lose faith in not just the product that is being recalled, but often in the associated producer, manufacturer, outlet and brand. Lagarde Autoclaves is regarded as Europe’s leading retort specialist. This thermal processing technology is ideal for treating high-risk foods such as pâtés, seafood and ready meals, as it kills Clostridium Botulinum, the most heat resistant pathogen commonly found in food. The latest control system on the Lagarde autoclave, SU, is an updated version of its PC based control system, offering full accountability and traceability. The process parameters, control checks and real time progress can all be accessed remotely, with data from each cycle stored in an encrypted hard drive for up to ten years. Niko are world leaders in the supply of in-container, bespoke tunnel pasteurisers and coolers for the food industry. These pasteurisers can deal with liquids, pastes or solids in a variety of packaging, including more-delicate plastic trays and pouches. The pasteurising and cooling tunnels use rainwater technology, which allows large water flows with minimal pressure. Traceability is achieved through the system’s accurate controls and software which allows for the recording of data, to meet food safety regulatory compliance. For dry sterilisation of sensitive products, such as grains, seeds, flours and spices, Revtech’s decontamination towers have been proven to be effective in achieving a kill count of up to 7 Logs. Tests have been undertaken in the UK by Campden BRI and validation received from the California Almond Board. The raw product is sterilised with minimal heat treatment, whilst maintaining the colour and texture of the final product. The Revtech system is particularly useful for imported products, such as spices, that may have been contaminated during harvesting or through inadequate storage facilities. Once introduced to a moist environment, spoiling organisms such as Salmonella and E Coli can thrive. For the smaller-scale producer, wet pasteurisation is an efficient and cost-effective processing solution. The Italian engineered Roboqbo, is a cut-cook-cool vessel with a thermal jacket. Its quick and accurate processing, with option for intermittent cooking, allows for speedy pasteurising, whilst retaining the organoleptic qualities; ideal for products such as nut butters, tahini and hummus. High Pressure Processing (HPP) is one of the growing technologies that has garnered international attention. Raw foods are processed under pressure to 6,000 mBar, without the application of heat. This inactivates enzymes which can cause discolouration, particularly effective for the processing of guacamole, and soft, leafy greens. More importantly, depending on the product, a 4-5 log reduction can be achieved. By modifying process parameters, such as pressure, holding time and temperature, it is possible to control which types of micro-organism are reduced. As HPP is a cold pasteurisation solution, it is most effective with moulds and yeasts. To learn more about our sterilising and pasteurising technology, call us on 01780 749097.